Sara was a friend. Not just to me, but to many others. I’ve wanted to write about her for a long time, but the memories were bittersweet. I struggled to gather the words. Our story of friendship begins over 100 years ago with a brother and sister named Fred and Henrietta, the children of Dutch immigrants. 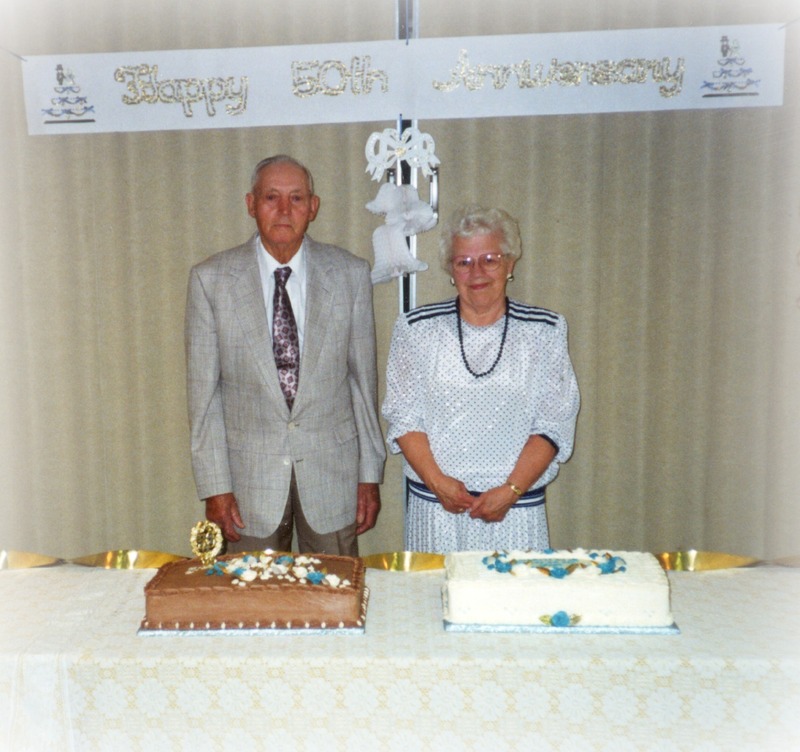 Fred and Henrietta grew up, found spouses, married, lived a few houses apart, and both had families of their own. Fred took over his dad’s dairy farm. In 1947, Fred’s wife gave birth to a boy, Marvin. Henrietta gave birth to a son, David. Marvin and David weren’t just cousins who happened to be neighbors. They became best friends. They went to the same church, the same Sunday school, and the same elementary and high schools. They played baseball at the farm and went to 4H Tractor Club. On Sunday afternoons they took walks, wandering around the Twin Lakes area. Marvin and David grew up and each was married in 1970. Both became fathers for the first time in 1971 and they both had baby girls. That was Sara and me. I suppose Sara and I played together since we were old enough to toddle around. Our parents often got together on weekends and for Bible study. Every year we attended New Year’s Eve service at church and then spent the evening talking, eating and playing games with our siblings until the exciting countdown to midnight. The next morning we would be at church, starting the New Year in God’s house. Just like our dads, we attended the same church and Sunday school. We were in the same classes and grades all through our years at North Christian grade school. We played long days together in the summer, wandering all around the farm by Twin Lakes and often had sleepovers. There were hours in her room with her amazing Barbie townhouse, complete with elevator. We dug up dusty dry calf bones behind the farm and pretended we had found an ancient dinosaur land. John Deere mountain was what we named our special spot. We perched ourselves in the tall grass on a small hill above the farm. We hid there, talking and laughing as only two little girls can do. At my folk’s house we mixed up crazy concoctions in the kitchen and played with the cassette tape recorder for hours, creating silly radio programs and listening to them while we giggled late into the night. Starting in second grade we took piano lessons together with Mrs. Grit. Our moms took turns carpooling. The day that the tornado hit Kalamazoo in 1980, we were at Mrs. Grit’s house for our weekly lesson. We stopped at my aunt’s house to shelter in her cellar because my mom spotted the tornado over Westwood as she was driving us home. When Mrs. Grit moved to Costa Rica with her family to be missionaries, we switched to Mrs. Manni. We took turns sitting at the dining room table and doing homework while the other had her lesson. In high school, my cousin drove us to school every day for a couple of semesters. We sometimes carpooled to basketball games, cheering for our Kalamazoo Christian Comets. We had several friends in common. After graduating in 1989, Sara stayed at home with her folks and went to college. I moved in with my grandparents and went to work at a doctor’s office. We soon started getting together with friends every Sunday night after church. These were some of the happiest days I remember. Sara started dating Steve, the good-looking fellow who showed up in our Sunday school class in 6th grade. Many of us girls swooned over him, but it was Sara who won his heart. I went away to college for one year. When I returned home to Kalamazoo, Sara and I rented an apartment together. It was her first place away from her parents. We had great fun furnishing and decorating our little place. She would come home from her job at the flower shop and have Adventures in Odyssey on her car radio. I would have the radio on in the apartment and we would finish listening together. I can’t say how many nights were spent staying up late, talking and giggling. There were serious conversations too, about our faith and relationships. It is almost crazy to admit, but at age 19, we joined with a group of friends for our first and only ballet class. It was so fun(ny)! We loved having friends over and started a Bible study, too. One fine summer day, we were feeling a little tired and dull. We jumped into our friend Jeff’s red Chevy Lumina and he drove a group of us to Lake Michigan. At the state park entrance booth, Sara pretended to give an order for McDonald’s, as if we were at the drive-thru. Because of that, we could not stop laughing. The guys gave up on us and walked down to the beach, but we remained in the back seat, rolling around, laughing and crying for at least ten more minutes. Then we laughed our way down to the beach; into the sun and waves and joy of a carefree day. On a warm August night in 1992, I had the honor of playing the piano for Sara and Steve’s wedding. Going though my old piano books, I found songs I heard her play while sitting at the dining room table doing homework at Mrs. Manni’s house. I found Scarlatti, Bach, Mozart and hymns from Sunday School. All my heart went into that prelude. Our friend Rhonda and her dad sang a duet and I played the piano for that too. Imagine my surprise when I walked out of the church, and there was our first piano teacher, Mrs. Grit! Sara started teaching school and settled into married life. I married a couple of years later, and moved out of state. Sara and I wrote letters and talked on the phone at first, but gradually we became busy and didn’t keep up. Sara and Steve eventually had six children and started homeschooling. Despite living out of state, I could count on seeing Sara and our group of friends every New Year’s Eve or 4th of July whenever I was in Kalamazoo. It was always easy to get together on these occasions and catch up on our lives. Eventually I moved back and we continued our tradition of gathering with our friends twice a year. Nearly every time a year turned over, Sara and I were together. These days our parents still get together. They go out to eat. Once a month they still have Bible study with their group of friends. You will always find them celebrating New Year’s Eve at one or the other’s home. John Deere Mountain is gone now, excavated flat to the ground. Sara is gone too. She left us suddenly one day seven years ago. She fed her family supper, went to lay down for a rest, and quietly slipped away to heaven. We later learned she had a rare heart condition. For a long time my heart went flat too. Flat with missing, flat with grief. Flat with fear of loving and losing. It is taking a long time to heal and maybe it never will. I have had losses. I’ve lost babies. I’ve lost my uncle. I’ve lost young friends and old friends and great aunts and uncles and grandparents. Truthfully, I don’t cry about them anymore, but sometimes I still cry about Sara. I miss laughing together. Really, I just miss her. Sara had a way of spending time, listening and being present with people. You can see by her notes that she was also an encourager. People were drawn to her, but she never wanted to draw attention to herself. She was living her dream of family, children and homeschooling. God only knows why her time was up, but it was. Sara trusted God with all her heart. I trust Him too, but I admit it took time to trust again after she was gone. I have faith in God that I will see her again and someday all the sorrow of missing her will be gone forever. Update on the family – God is amazing! *Some years ago I wrote down memories of Sara from childhood to give to Sara’s children, similar to what I’ve shared here. Mrs. Kamps sketched this lovely picture for me to include with the stories. You comments are always welcome and appreciated. If you knew Sara and have a memory you’d like to share, you are welcome to add those in the comments too. I’m sure family and friends would enjoy reading them. Note: I moderate comments to prevent spam, so they will appear after I’ve approved them. All it takes is one look, and you can see my biggest weakness. It’s time for me to make some life changes, because the stakes are getting high. This past Christmas I had once again succombed to my sugar addiction and was feeling absolutely miserable. One day I was looking for books on Amazon and came across Sweet Grace: How I Lost 250 Pounds and Stopped Trying to Earn God’s Favor, by Teresa Shields Parker. At my request, Dean bought this book for my Christmas present. About six weeks ago I joined the Sweet Change support group, and Teresa became a mentor and coach for my weight loss journey. She challenged me to write on the topic “Why I want to live” and said she intended to post it on her website. This was perhaps the most challenging thing I’ve ever written, because it feels vulnerable to share about my greatest weakness. However with encouragement from Teresa, my husband and others, I agreed. I admit it, this last verse is where I need the most help. Often you will find me awake in the wee hours, worrying about my family’s safety. I’m the queen of finding worse case scenarios. That’s why my word for 2015 is safe. It’s a reminder to myself that with the God the Father’s protection, we are always safe. His Word says it. It’s true. 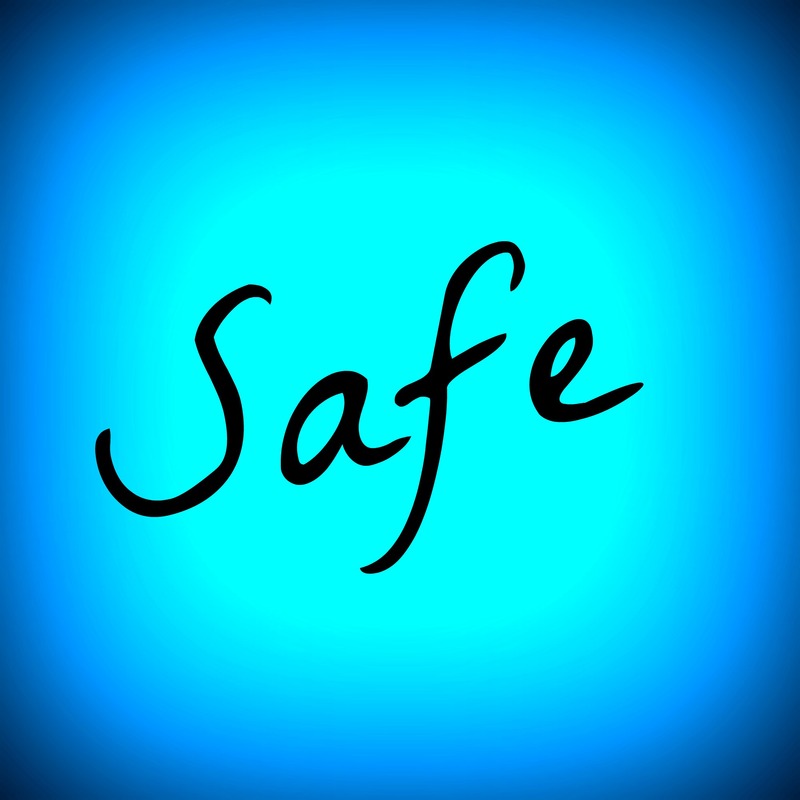 It’s true even when things happen don’t feel safe. (Think about the situations David was often in when he wrote the Psalms—fleeing for his life.) Time to put my faith in action and believe. Incidentally, believe was my 2nd choice for one word 2015. Wouldn’t it be nice to sleep better? That’s my hope for 2015. I remember those holidays when I was single. I remember the acute sense of loneliness when I showed up at a family gathering by myself and those pangs of longing as I left the festivities bursting with family and drove home. Alone. I remember when I wept sitting under the lighted tree one Christmas Eve because I had been infertile for many years. There were no children to share the joy of the day. My arms and my heart felt empty. I remember the Christmas when my Grandpa, who was so very dear to me, passed away a few days before the holiday. It was a consuming time with the funeral, visitation and dealing with grief. I barely noticed it was Christmas that year. For unto us a Child is born! Unto us a Son is given! I pray those who might feel lonely today will know that Christ is born for them. You always have a family and you always have a baby to love if you have Jesus. He is our baby, our brother, our dearest One, and He is with us always. God made flesh. 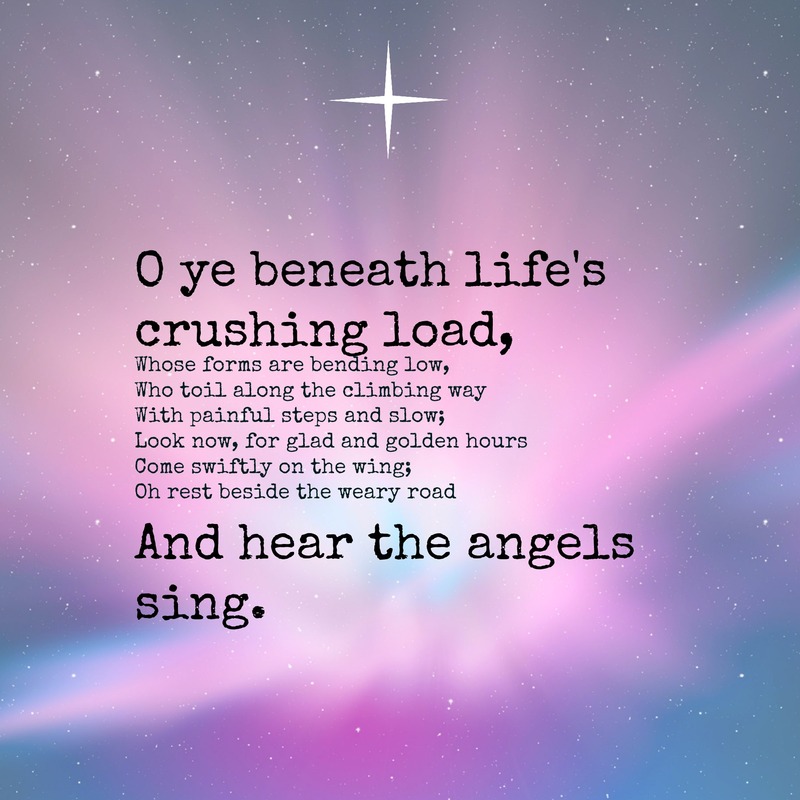 The image is verse two from the Christmas carol “It Came Upon a Midnight Clear” written by Edmond Hamilton Sears in 1849. Come to God, then, my brother, my sister, with all thy desires and instincts, all thy lofty ideals, all thy longing for purity and unselfishness, all thy yearning to love and be true, all thy aspiration after self-forgetfulness and child-life in the breath of the Father; come to him with all thy weaknesses, all thy shames, all thy futilities; with all thy helplessness over thy own thoughts; with all thy failure, yea, with the sick sense of having missed the tide of true affairs; come to him with all thy doubts, fears, dishonesties, meannesses, paltrinesses, misjudgments, wearinesses, disappointments, and stalenesses: be sure he will take thee and all thy miserable brood, whether of draggle-winged angels, or covert-seeking snakes, into his care, the angels for life, the snakes for death, and thee for liberty in his limitless heart! 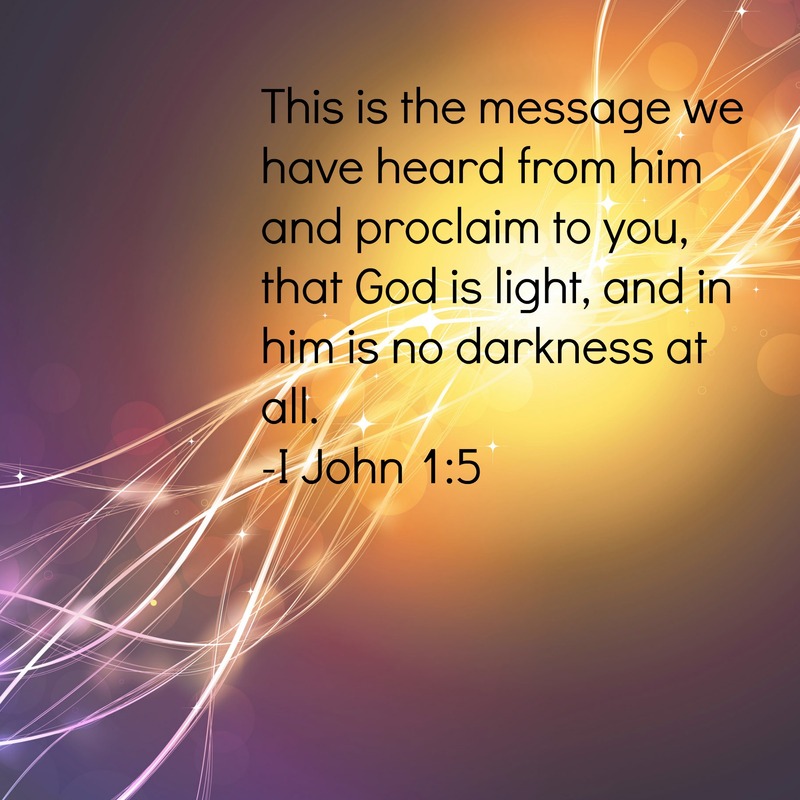 For he is light, and in him is no darkness at all. I was going through a file and found the above quote from a sermon of George MacDonald. It was something I hand-wrote, word for word several years ago, but don’t remember my source at the time. Thanks to Google, I found the entire sermon written out, so if you like, you can see the context here. This is a beautiful fall day in Michigan. The sun is shining and the leaves are vibrant. I’m busy homeschooling, cooking and running errands. But I’ll admit it. My heart is feeling a little broken inside. The anniversary of my first marriage was 10-28 and it would have been twenty years today. God has worked all things for the good, and I am utterly blessed to be remarried to a kind, wonderful man. However, 10-28 was significant in my life. While I no longer mourn the ending of the relationship, I am reminded every year of the death of a marriage. It was on 10-28, a few years ago in the doctor’s office that we learned we were having a miscarriage, and would never meet our third baby. Our fourth baby was also a miscarriage and today was a possibility as a due date. I wonder why God arranged for those losses to be remembered on the same date? I don’t know a specific reason it happened that way in my life, but God tells us Himself: It’s not a bad thing to grieve. October 28 or not, there are days where we are called to mourn. Perhaps for ourselves, perhaps with others. Despite the pain, mourning comes with promises. Probably for the rest of my life, October 28 will be a mourning day. 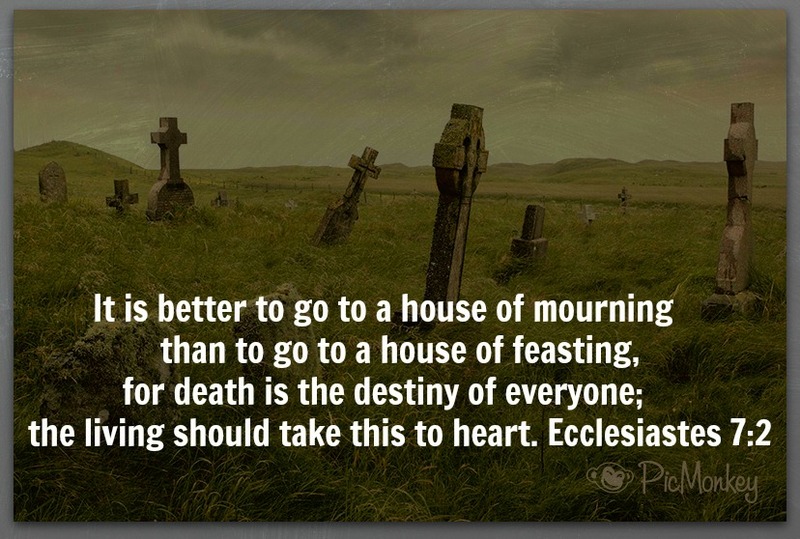 Yet it is also true that there are beautiful ways that God has “turned my mourning into joy”. I have been comforted by Christ, the sure hope of eternal life, and the kindness of friends and family. I sure would love to have a newborn to welcome into our home this month. But I will see my babies someday. I long to hold, snuggle them and kiss their faces. Bliss! Today I can also remember that someday there won’t be anymore October twenty-eighths. How about you? Do you have any “October 28’s”? How has God comforted you? How do you trust after a divorce? So how do you trust again after your heart has been ripped to shreds by the person that you committed to live life with till the end of your days? Would you dare remarry again? For me, these are the thirteen not-so-easy steps. You tell your friends that you need hugs. You, the person who has never ever been a “hug” kind of person. It’s awkward at first, but after awhile, it’s a normal part of greeting and you soak in every hug at any opportunity from friends and family that you trust. You get some solid Christian counseling. You face your own issues and take responsibility for your own sins related to the marriage that broke up. When your counselor tells you to wait a year before dating again, you do that, even though you feel horribly lonely, and you think it’s not fair. Sometimes in that first year you are grieving so deeply that you bawl and scream at God when you are alone in the car. 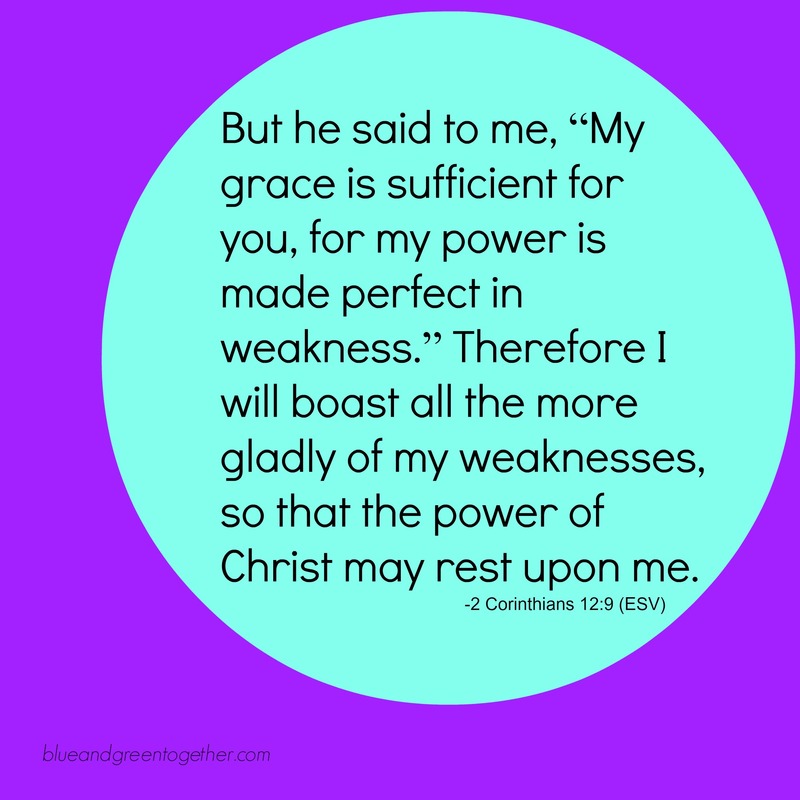 The emotional pain is so overwhelming, that occasionally you wish you were dead (though you are not suicidal), but you yell it out, because your counselor reminds you that God can handle that. Because when you are alone yelling in the car, God is all you have left. You go to college (a dream you’ve had for several years) and you study diligently and do well in your classes and find something you love to do. You find that your days are filled with studying and working. Some creep–you realize later that he’s a creep– from a college class asks you on a date, and you are so lonely, you hang out with him after class one evening. But he directly informs you that he has other motives, and you remember what the counselor said (see step 2) and you call your best friend and ask her to hold you accountable so you don’t do something you’ll regret. And you resist temptation despite the opportunity, and a few weeks after the flood of emotions is past, you realize that perhaps you might be okay being alone! You cling to the Psalms in your Bible. 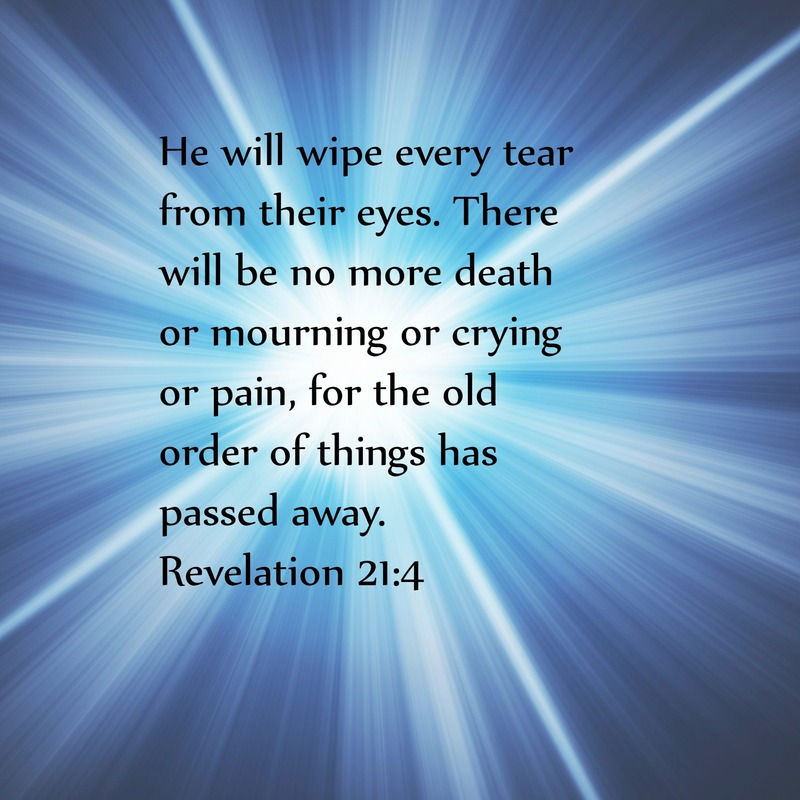 You pour your aching heart and tears along with David, the ancient king of Israel. Then you write miles of words in your journals and you pour out your aches and pains before God. You write until your hands hurt. Then you close the journal and walk away, and realize you feel lighter. You often call your best friend, your mom, and the one cousin you know who also went through a divorce. You tell them how lonely you feel and that a funeral would have been easier than this. After you stop seeing your counselor, you find a small support group and you share and they hear you. While you aren’t paying any attention and are just trying to survive, your heart heals every week because you are processing your grief and not avoiding it. You find things in your life to look forward to. You let your mind wander back to long-neglected hobbies and passions that have been smothered by the chaos of a difficult marriage. You pick up your crochet needles and make something pretty. You keep going to your church, even though you feel weird walking in all by yourself and jealous to see all the happily married couples. You worship, you take communion. And then a friend invites you to attend a meeting with his church single’s group. You are baffled at the idea after being a married woman for eight years, so you politely say no. So he invites you again, and you say no again. And one night when you are studying that same friend shows up at the coffee shop with a bunch of the people from the group. You sit by them for an hour and you realize they are friendly. A few weeks later you walk in to one of their meetings with your heart hammering in your chest. On the way home that night, you bawl your eyes out with gratitude, thanking God in the car, because you found some genuine Christian fellowship. So you jump in with both feet. You hang out with this group so much that they become like brothers and sisters to you. And particularly you notice the brothers treat you kindly, and you realize that not all men are out to treat women the way you were treated. They could care less that you are divorced and weigh over 300 pounds–sure they will sit in the coffee shop with you and talk and play board games and watch movies and discuss all sorts of things about life in general and they ask you how school is going and encourage you and treat you as a sister in Christ consistently and -oh-so-kindly. You actually find yourself laughing and it surprises you because you forgot that you could laugh. A few of these friends become aware that you have post traumatic stress syndrome, and that sometimes you have panic attacks and become nearly paralyzed just from riding in a car or watching a movie scene, and they still like to hang out with you and accept you as you are. And then about a year and a half after the first meeting, one of the guys in that group—who happens to be the most kind of them all (and wasn’t actually one that you had been hanging out with very often), surprisingly asks you out on a date. On your first date he gives you a card that says he is praying for God to guide the relationship. And you remind him (even though he already knew) that you are a divorced woman, because he has never been married. But he still wants to date you. So you go on your second date with him and he takes you to Lake Michigan and walks on the beach with you and holds your hand, and you didn’t imagine you could feel those butterflies again, but you do! So you go on your third date with this fellow, and you tell him that you have been infertile for eight years of marriage, and that you have had tests and procedures, and that you were the one with the problem, and that you may never be able to have children, and he says that he still wants to date you. As you continue to date, you share more and more of your heart with this man, the good and the bad, and he shares with you too, and there is lots of walking and talking and sharing and you find yourself wanting to trust again. Still, you don’t trust your own judgement, because obviously you have made poor decisions in the past. You ask your pastors and your closest friends and family if they think this is a good idea. Then you ask his roommates and his co-workers and his pastor and his family if he is a man of integrity as he seems to be, and you realize that he is, so there is nothing stopping you from marrying him. So you take a deep breath, walk down that aisle and make a new vow til’ death do you part. That is how you trust a man again. But really, the only way you can trust a man again, is to trust GOD and His workings. For you realize it is His book and His people that have healed your heart to the point that you are ready and willing to trust again. Then you see “He works all things for the good”, and that isn’t just a trite saying in Romans. And that God can take what has been the most painful experience of your life and turned it into something beautiful. And this same man continues to show you, through all your hurts and insecurities and weight loss and weight gains (not to mention having a baby(!) born 9 months and 2 weeks after your wedding day—and another baby just sixteen months later—and two miscarriages–and unemployment, and four moves in 8 years) that he loves you. He calls you beautiful every day, still gives you cards, and reminds you that he’s not going anywhere. And you realize that God loves you too, you didn’t earn any of it, it’s all grace, and you know it more and more and more. How much you have been forgiven, and how much Jesus sacrificed to save you, and how you much you are loved. And you still have occasional bad days where there is grieving, anxiety and even some panic attacks, but you always know you are loved. And you know that the “happily ever after” is not here on earth, it’s still coming. When I started to write on the topic, this is what poured out of me. It’s heavy stuff, and a little scary to hit the publish button, but it’s my story.